As a perfect Finale to the KHMC 2016 concert series the event was dedicated to the Musical Legend Smt. M.S. Subbulakshmi. Sneha Prasath, Ananya Venkat, Varshini Mohankumar, Saadvhi Raghav and Saisha Prabhakar, senior students of Smt. Sandhya Sridhar enthralled the audience with their majestic performance. NESSP performs the special ritual of "Bhogi Pandlu", where a mixture of flower petals, Akshithas, Berries and coins are showered to ward-off evil and bless children with abundance and long life. The Swaranjali group performed at Amrit Sabha Adult Daycare on January 21, 2017. The performance lasted for close to two hours and over 20 songs were completed as part of their rendition. 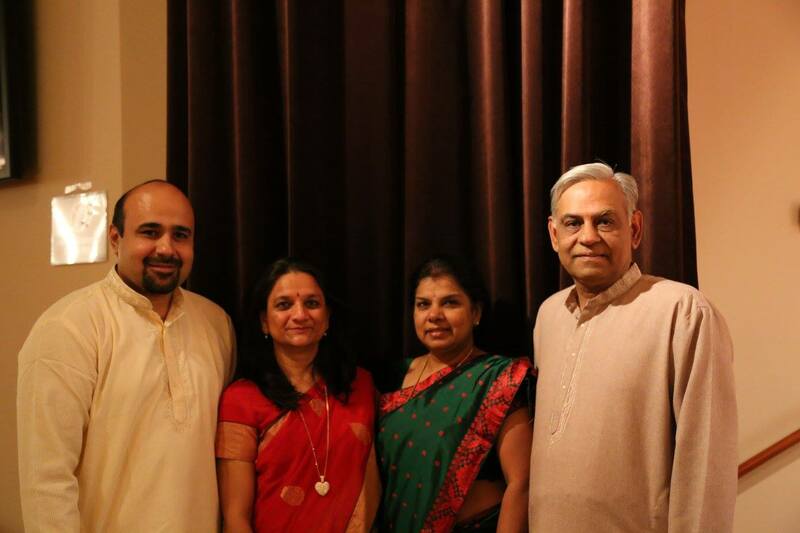 Karnatic and Hindustani Music Circle (KHMC) kicked off its first concert of the year on February 11, 2017 at the Center for Arts and Wellness in Westborough MA featuring Sadhika Hiremath, Pranav Shankar and Jawwad Noor. An amazing talent filled night was offered by the Subcontinental Drift Boston (SubDrift) on 16th Mar, 2017 from 8:00pm to 10:00pm to the audience at the EMW Bookstore, Cambridge, MA. Local singers presented a fabulous musical tribute to the melody queen Lata Mangeshkar and help raised funds for Asha for Education. Pakistani Sufi exponent Sanam Marvi was featured as part of the World Music Celebrity Series at the Sanders Theater on March 26th. The music was soul stirring. 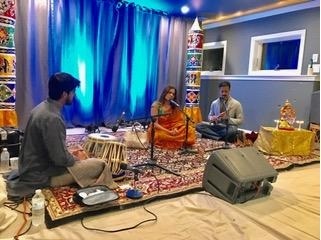 The Spring concert of KHMC (Karnatic Hindustani Music Circle) blossomed on March 25, 2017 at Sumana and Anand's Rao's beautiful home in Lexington, MA. Sumana and Anand have been hosting the KHMC concerts for over 10 years and lent the musical community a welcoming home that was tastefully decorated and plans well-thought out. The Kitchari Kirtan Community of Cambridge, Massachusetts, meets on every second Friday evening of the month in the Harvard square area to recite Hindu Divine Deities’ Names, sing Bhajans, Sufi songs, and chant Sacred Beeja (seed) mantras from Hinduism and Buddhism. 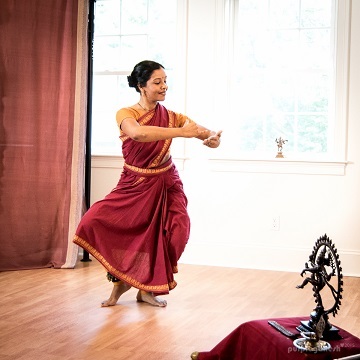 Sruthilayalu, a fledgling organization started to promote Carnatic music skills and awareness, including closely related art forms like Kuchipudi, among the local Indian, especially Telugu, community, presented its maiden program on April 16th at Bellingham High School. A group of talented New England desis got together enthusiastically at the monthly open mic night of SubDrift (Sub-continental Drift) on April 20th, to showcase their talents in Cambridge, MA. 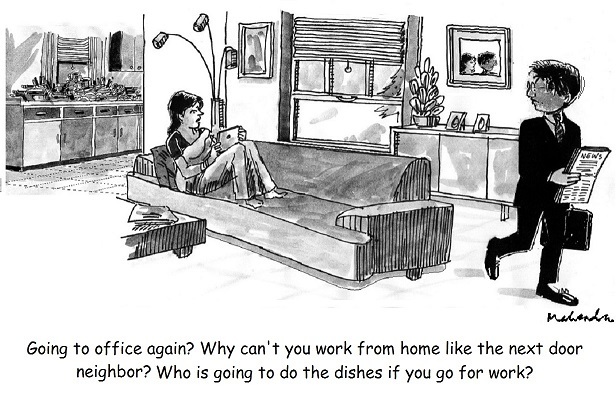 SubDrift encourages creative expression and artistic participation amongst the local South Asian Americans. Sanjana Sankar (Veena), Aaradhya Sivakumar (Krithi) and Arvind Mahalingam (Neraval) were winners at the recently concluded 2017 Cleveland Thygaraja Festival. Raga Rang Once Again Takes Us By Storm! The melodious rendition brought by the artists was truly a treat to the ears, transcending the packed audience into the enchanting world of music. The Jam session by the instrumentalists was exhilarating, and each performance by every artist was magnificent. A deeply moving and joyful Kitchari Kirtan took place on May 5th, in a place where lilacs, dogwood, and daffodils welcome devotees with their beautiful smiles and succulent tender gestures. After a long time, indeed a very long time, we were fortunate to witness a "memorable" concert. Pandit Dr Ram Deshpande, Sanjay Deshpande and Ajay Joglekar left the audience spellbound. It was an absolute privilege to be able to hear artists of this caliber in an intimate Baithak setting. 100 Years of Bollywood, hosted by Patidar Samaj of New England on May 14th, was one of a kind, unforgettable musical show Boston has experienced in a long time. The renowned quawwali exponent Ustad Farid Ayaz and his team consisting of master vocalist Ustad Abu Mohammed as well as ten other singers and percussionists led the audience on an energy packed spiritual journey on May 16 at the home of sound engineer Jawed Wahid in Framingham, MA. The Sufi-inspired musical extravaganza by Amal and Raagini Jawa of Leher not only was a energy packed melodic success but also was evidence for how a whole community mobilizes together to put on a wonderful show for a incredible cause. Listening to Shriya Srinivasan’s recital for KHMC made me wonder if indeed some people have more hours in the day, for she is pursuing graduate studies at MIT while simultaneously learning and performing Carnatic music and Bharatanatyam at a highly advanced level! This was followed by a recital of Santoor by Sri Nitin Pandit, accompanied by Pranav Ghatraju. 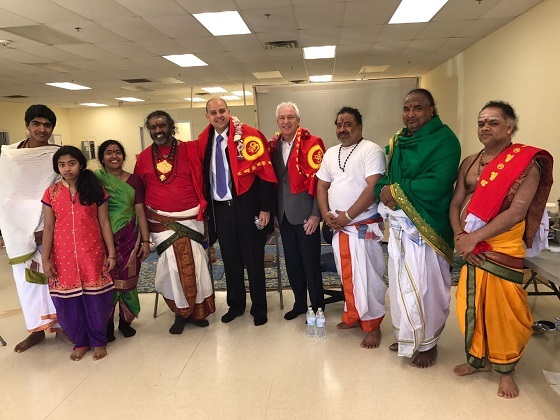 Sruthilayaa School of Carnatic Music presented their Annual day celebrations, “ARPANAM “on May 20th at St. John’s High school in Shrewsbury, MA. The program was well attended. Smt. Gauri Pathare trained in the Kirana, Agra and Jaipur gharaanas gave a memorable concert at Learnquest Baithak on May 21. Shuchita Rao of Lokvani spoke to Vidushi Smt. Gauri Pathare. The members of Cambridge Community Kirtan (CCK) felt so honored and fortunate to host Sripad Bhaktivedanta Madhava Maharaja’s enlightening speech at the church which is located near Harvard Square, Cambridge, MA on June 7th evening. A superb melodious and tuneful Indian Classical Choir program was organized by the joint auspicious efforts of Meru Education Foundation and LearnQuest Academy of Music on the pleasant summer evening of June 24, 2017 at Regis College, Weston, MA.